BMW to launch S1000F Sports Tourer at Intermot? BMW to launch an 'S' based sports tourer at Intermot? 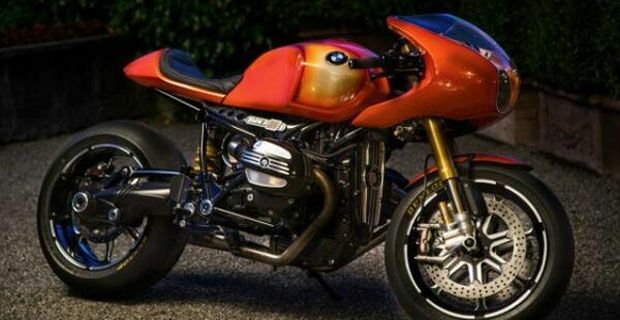 The authoritative German publication Motorrad has launched the first rumors that BMW is working on an new motorcycle based on a another variation of its “S” platform. The new machine, which at the moment has been provisionally dubbed as the BMW S1000F, should be a very zippy and highly versatile Sports Tourer, based on their new high-performance aggressive looking roadster model, the S1000R which was launched late last year and taken from their flagship superbike, the S1000RR. While the S1000R features a detuned 160-hp engine – from the original 193 hp - the always well-informed Germans believe that the BMW S1000F will feature an even further detuned verison of the inline four-cylinder engine to allow for low to mid-range performance along with various ergonomic changes to make it a long range sports tourer, in order to try to steal away a few clients from a certain Italian manufacturer. Since BMW has gotten everyone used to technically advanced solutions, the new bike should feature mandatory ABS, dynamic damping control, "throttle-by-wire" system and traction control. "In terms of future challenges, BMW Motorrad always has its ear to the ground and will take on a pioneering role. We will continue to strengthen our core segments in the future as well as moving into new segments, markets and target groups by offering the appropriate products." Always according to the German website, the new machine should be ready to debut this year and launched at the CologneIntermot- International Motorcycle, Scooter and E-Bike Fair in October.